Decided to do another quickie. Took a little longer this time but not too long nonetheless. 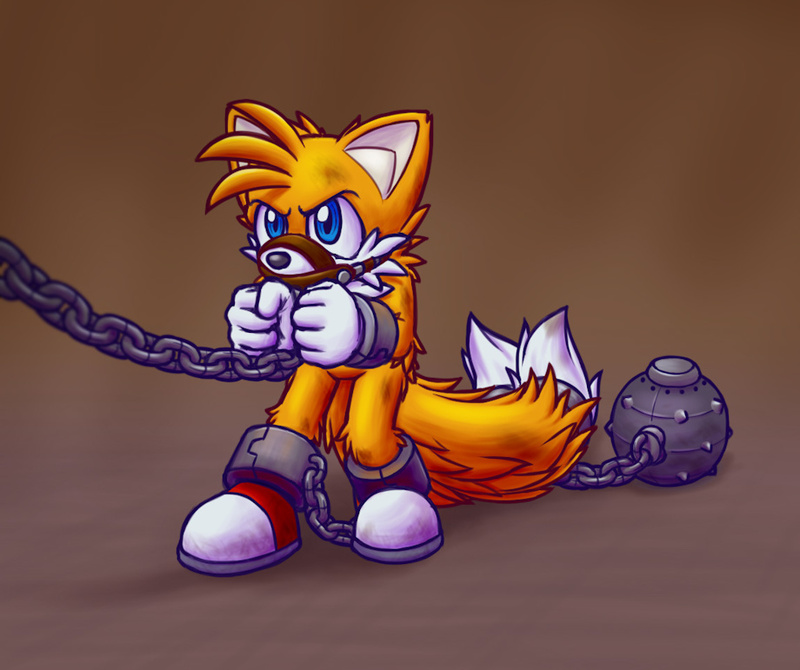 It looks like Tails doesn't want to go wherever he needs to go. Guess there's no choice but to pack it in and let him go. Now who's up for some fish and bowling? Really? Cause I think his anger is just a facade. I think he's secretly enjoying it. If he wasn't he'd struggle even in his bounds, and from first observation of this image he's not struggling. And there's a couple factors of the photo that could support that. No struggling(which is hard to draw, as it’s a motion, not a pose), but he is leaning away from whoever is holding the chain, and the title is “reluctance” after all. But there is one thing to remember, we are free to interpret art how we wish. I’m content to see him describe as reluctant(aka unwilling and hesitant) in the title and shown in the artwork, leaning back with clenched fists, braced legs and with an angry glare, and take that as it is, while you are free to see this as all a pleasurable farce with a bigger, yet unseen picture behind it.